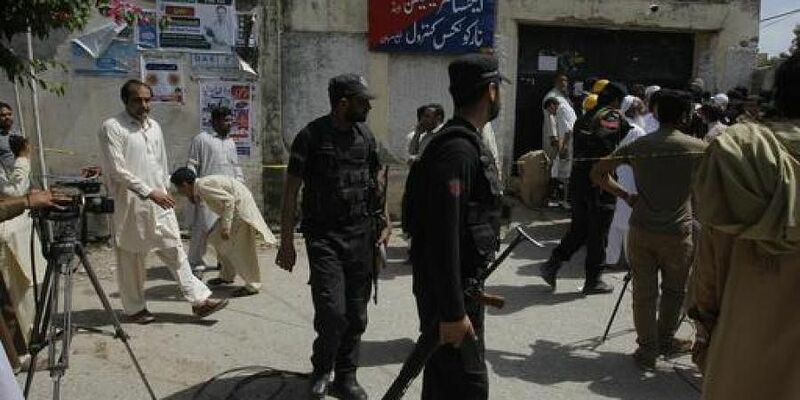 ISLAMABAD: A militant attack on a police post in northern Pakistan left four people dead, officials said Saturday, the second violent incident this month in the relatively peaceful region of Gilgit-Baltistan. The mountainous area, whose peaks attract climbers and tourists from around the world, has been comparatively free of the deadly militancy that has plagued other parts of Pakistan for years. On August 3, unknown militants torched 12 schools in one night in the region, but no loss of life was reported. Around seven militants launched the latest assault in the early hours of Saturday, sparking an exchange of fire in which three policemen and one attacker were killed, a local administration official told AFP. "The latest attack came in Kargah area where militants attacked a police installation engaging 12 policemen present there," said Dildar Hussain Malik. "We have arrested four suspected militants including two wounded in the encounter." Local police confirmed the incident and said operations were underway to track down the attackers who fled the scene. Gilgit-Baltistan is home to the world's second-highest mountain, K2.